When I hear music by Thievery Corporation it takes me back to 2007 when I first started blogging and painting. I would pull out my paint, cut paper and play some tunes to get the mood going. 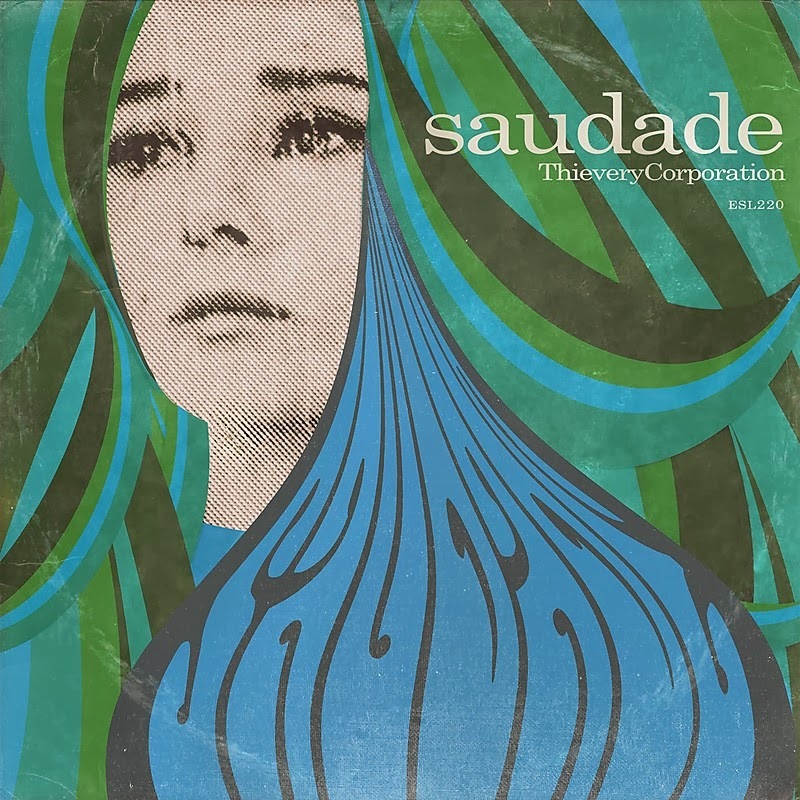 My playlist included ALOT of Thievery Corporation's music. Just learned they have a new album coming out soon and I'm looking forward to it and loving the cover art. Have a listen to one of the tracks, Depth of My Soul here. The album is due April 1st. “This album is really about mine and Eric’s love of bossa nova music and jazz and cinematic soundtrack music from the late ’60s and early ’70s,” Garza said.